The informant, T, is 19 years old. He was born and raised on the island of Oahu in Hawaii. His parents were also born and raised on Oahu. His grandparents on his mom’s side came from Japan and from his dad’s side were raised on Oahu. He is majoring as an Industrial and Systems Engineer. He considers himself American and is full Japanese. How did you hear this story for the first time? Is that a common story that everyone knows or is it just a hula thing? Analysis- While this myth is known as an explanation to something as big as the creation of the islands, it is odd that only a small group of people really know the tale and actually tell it. This could be due to the fact that the traditional Hawaiian dance is meant to tell stories of the past as well as to be a way for the people to connect and give something to the Hawaiian gods. In the islands, one can see the constant change of the islands as they are formed by volcanoes and how the lava pours into the ocean to create steam and land. This constant and real fight of the land and the ocean is depicted as the two goddesses fighting. The informant, K, is 19 years old. She was born in Long Beach, California but was raised in Los Angeles. Her dad is from Guadalajara, Mexico (Southern Mexico) but moved to the United States when he was 2. Her mom was born in Obregon, Sonora (Northern Mexico) but grew in Mexicali (a US-Mexico border town), and she moved to the United States when she was 18. She is majoring in Applied Mathematics with a Computer Science Minor. She considers herself Mexican-American (or Chicana). What age were you when you heard this? According to the story, where did they used to live? Analysis- Normally in the Hispanic culture, the chupacabra and the cucuy would be different. 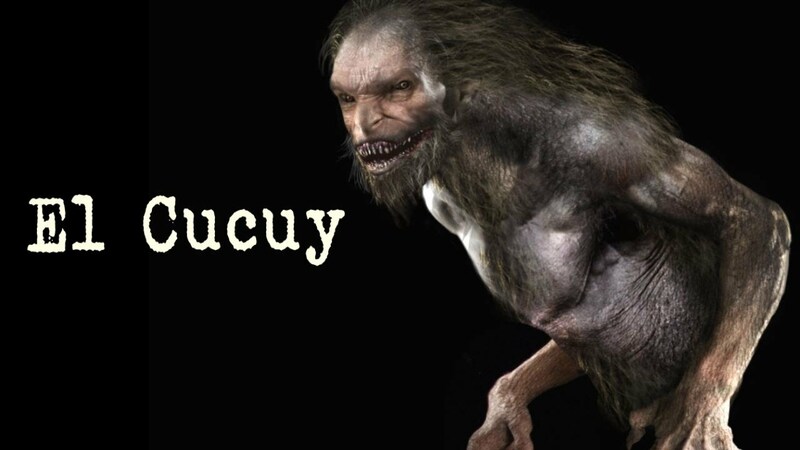 Only the cucuy would be the one that would take the children if they did not behave or at random moments when it came out from under the bed. The chupacabra was not really a worry to children but instead to cattle. This version of the story, however, was adapted to scare children even more by creating this new monster than consists of two already scary creatures. The fact that the monster can still come and get the children, even if they do not live near anywhere near where the monster lived, shows that the story was specifically aimed at children. Did you hear this story anywhere else with other people or other versions of it? How long ago was the first time you heard this? Analysis- This story is very interesting in the fact that this is one of the few stories from Mexico where inanimate objects, that are not haunted, come to life. The Mexican culture does not traditionally include creatures such as gnomes but instead, it consist of larger creatures and ghosts. This is because the country did not originally have gnomes until places, such as the United States introduced them to there. This story can be seen as a representation of the fear towards the unknown and the things that are not traditional. Traditions or stories of gnomes coming to life are more common in Europe. When did you first hear this story? Have you heard this story from other people as well? Did you use to live near a body of water or some forested area? Analysis- This version of the story is seen as a way to ensure the proper behavior of children. The legend is specifically aimed to children, as it is the children that get drowned and the children that get kidnapped. The fact that she did not live near a body of water, which is where according to the legend is where the ghost appears, proves that this is a story told by the adults to make children behave. The legend is also given credibility by introducing some history into it in the form of the conquistador and the traditional Mexican woman. This legend would, therefore, not be easily accepted and used in other cultures. The informant, C, is an 18 raised in South Central Los Angeles, California. His parents are both Mexican and he considers himself Mexican as well. He is studying Astronautical Engineering. When did you first hear this? C-“When I was little my aunts and grandma and my mom would say ‘oh a friend, or whatever person, is going to visit’ every time that I dropped a utensil. Have you heard or seen this in other places? Do you believe in it/think it’s true? Analysis- The superstition could be a way to cover-up what may be an embarrassing and socially looked-down thing. Adding the consequence of the different visits creates a nicer response to this rather than public humiliation. The different visits could be different according to what the utensils resemble and remind the people of. Have you heard it other times besides from your dad? Analysis-The Mexican culture is a hard working culture that many times focuses on getting the children to work to help support the family rather than earn an education. The father of the informant clearly grew up experiencing some of this mentality, which he does not want to pass on to his children. The proverb is a way to encourage getting an education especially at a young age. Where did you first hear this? Have you heard this story other times from other people? The informant, S, is 18 years old and from Miami, Florida, but he grew up in Cartagena, Colombia (Northern, Columbia). His mom is from Barranquilla, Columbia (Northern Columbia), while his dad is from Cartagena, Columbia. He considers himself a Latino Columbian and is majoring in Civil Engineering Building Science. Is it only used in the coastal area? Do you know how it originated? Can you give an example of when it would be used? Is there a specific group of people that use the word? When did you first learn the word? Where did you hear this story? Where do you think the story came from? Is this story more common than other myths about the creation of the islands? Analysis- As mentioned by the informant, Hawaii consists of a lot of fishing, which provides food to the people. During the earlier times, when the stories were beginning to be told, fish would have been a main supply of food. The figure of the child Maui is originally known to be a trickster demigod figure in Hawaiian mythology. The form of the teacher in Hawaii is very common, especially as hula teachers. This is mirrored in the myth combined with the idea of fishing to explain a natural event, the creation of the islands. Do you tell this story? Analysis- The fact that the informant does not share the story to others proves that he does not really believe in it. He, however, understands and considers it as part of his culture. The story is also meant to show the power that the Hawaiian gods have, according to the local people. The driver is not able to escape from Pele even if she is alone in the middle of nowhere and appears to be helpless. It is a demonstration that people are nothing when it comes to the gods and that you should make them angry.